Tim Storrier, on winning Australia’s richest art prize (above, October 18), couldn’t resist taking a swipe at the board of trustees of the Art Gallery of New South Wales (AGNSW). They were, he said, a “postmodernist cabal” driven by fashion, identity politics and political caution. Storrier collected a cool $150,000 for the Doug Moran National Portrait Prize, which he has won for The Lunar Savant, an atmospheric portrait of friend and fellow artist McLean Edwards. 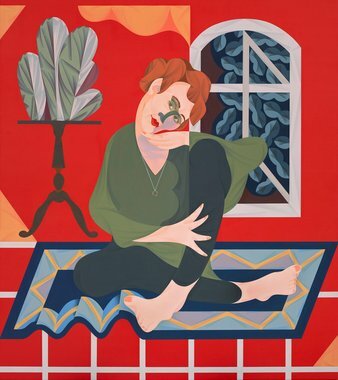 It’s the very same work that was excluded from this year’s 46-strong hang of finalists for the Archibald Prize, which are selected and judged by the AGNSW trustees. When the Moran prize began 29 years ago, it was derided by some critics as promoting an outmoded, literal style of portraiture. It has evolved into something much more sophisticated. This year’s judges were the highly respected former gallery director Daniel Thomas AM and artist Wendy Sharpe, along with Greta Moran of the family that funds the award. Whether or not you’re a fan of Storrier’s work, it can’t be denied that his portrait of McLean Edwards is a highly accomplished, enigmatic work that thoroughly deserves the prize. Why, then, was it excluded from the Archibald? 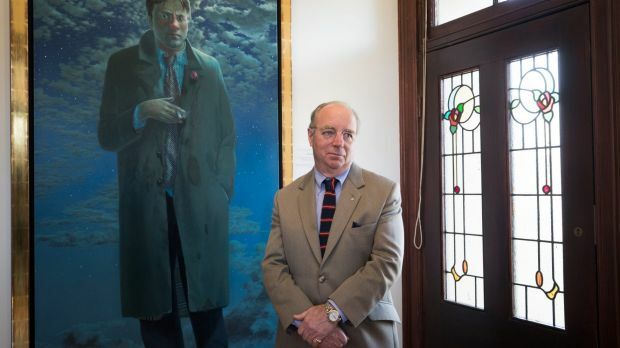 Back in July when Mitch Cairns was announced as the Archibald winner for a portrait, heavy with Matisse references, of his partner Agatha Gothe-Snape, Storrier backed acclaimed artist John Olsen who called the decision “a disgrace”. Does all this make Olsen and Storrier merely a pair of grumpy old men? Well, just compare the two winning portraits. You may also recall that earlier this year, when the AGNSW hosted the Olsen show the you beaut country (which originated from the National Gallery of Victoria rather than in Olsen’s home state of NSW), the institution lauded him as “one of Australia’s greatest living artists”. By the way, blink and you might have missed it: The AGNSW has been holding a “consultation process” for the much-vaunted Sydney Modern Project, the ambitious extension scheduled to begin construction in two years’ time – after the next state election in March 2019. With $244 million in state funds promised by current Premier Gladys Berejiklian’s Coalition government towards the estimated $380 million cost, everyone is left wondering what the final cost will be and when it will be finished. The development application for the project is due to be lodged on 1 November, so a flurry of community consultation sessions has been announced – eight in all, two in the CBD, two in Greater Sydney and four in regional NSW – between 10 and 23 October. It seems like a tick-the-box exercise of the kind we recently saw with the proposed Powerhouse move from Ultimo to Parramatta. Members of the Art Gallery Society were informed of the consultation process on 11 October, the day after the first meeting was held at Blacktown. As a member of the public you’d be lucky to find out about the sessions unless you were obsessively checking the Sydney Modern Project website. If you’ve missed the meetings, the same website provides an opportunity to give feedback online . But the survey gives little or no opportunity to question the controversial location, budget, business plan of curatorial mission for the project. 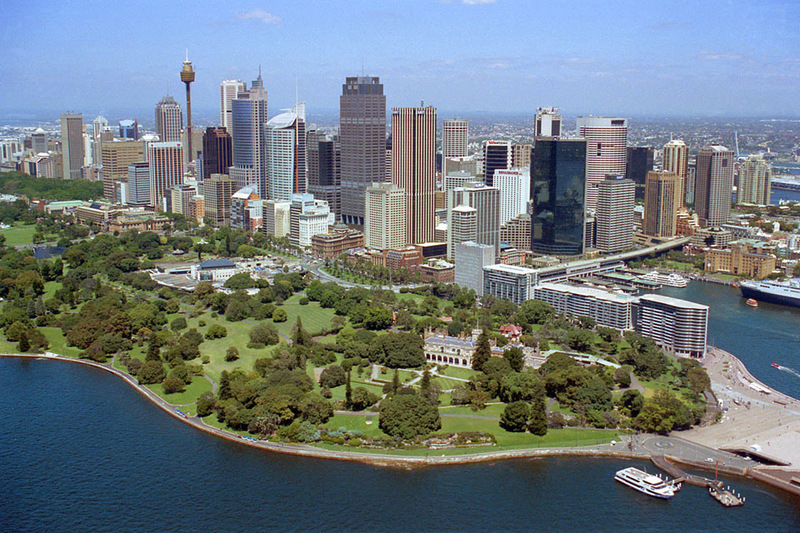 The design, with an open entrance plaza and floors cascading down to Woolloomooloo, is presented as a fait accompli with respondents asked only what they would like to see in the proposed spaces. One reader of this blog has pointed out that the most likely candidates to fill the “entrance plaza” are the homeless from Martin Place and Woolloomooloo. Another notes that with no new parking, it will be difficult to fulfil director Michael Brand’s promise in a recent communication to supporters that “both buildings will create spaces to bring people together and foster a sense of community, imagination and openness”. The NSW Department of Planning is expected to provide opportunities for further public comment after the development application is received next month. Meanwhile there’s absolutely no indication, from the AGNSW or from the government, of plans for recurrent funding of the greatly expanded building. Instead the institution continues to labour under the 2 per cent budget cut known as the “efficiency dividend”. The latest barmy decree by Premier Berejiklian’s Coalition government is that all statutory bodies, including specifically cultural institutions, must “rebrand” by incorporating the NSW government logo as the dominant element in all signage, advertising and communications. When Gladys was Transport Minister she carried out a similar rebranding exercise on all forms of transport, at considerable expense and to the delight of consultants and contractors. To impose something similar on cultural institutions struggling under the burden of the “efficiency dividend” is madness. It will cost many millions of dollars in new signage, stationery, online communications and educational materials. 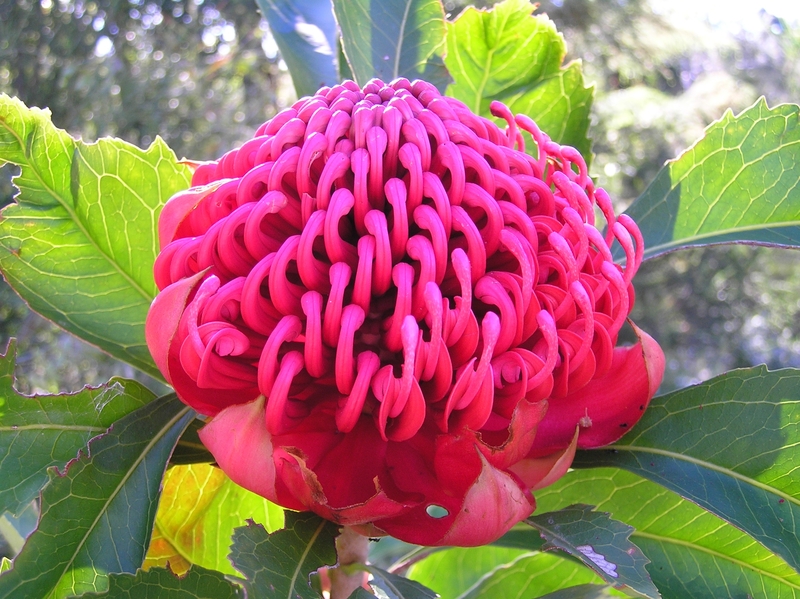 The waratah is a beautiful species of native flowering plant which is a delight in its natural habitat. It is an eminently suitable emblem for the State of NSW. But it is not served well as the logo of an out-of-control pro-developer government. Which do you think has more credibility, the logo of the NSW government or that of the Sydney Opera House? Or the State Library? Or, for all its current difficulties, the AGNSW? Now pressure is mounting to dump the order. Cultural institutions, for once, are banding together to demand exemption. They should tell Ms Berejiklian just what she can do with her logo. We don’t need to rebrand our culture. Who knows – the boards of our institutions may start to like the novel sensation of growing some backbone. We live in hope. Next step: exemption from the efficiency dividend.